One of the frustrations about learning French is that you’re not given the words you really need to know. I studied French up to A-level, but I was sometimes at a complete loss when I went out with my French girlfriend and a few of her friends in Lyon. I was feeling suitably smug about following the whole conversation in French…until everyone started talking about chestnuts! At the end of almost every story, someone would mention them. 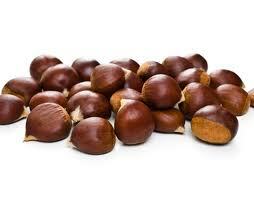 Now, it’s not often that chestnuts crop up in conversation (! ), so I thought I’d check with Isabelle later on. When I asked her about it, she said her friends hadn’t been talking about chestnuts at all. When I pressed her, she said they hadn’t been saying ‘marrons’ but ‘marrant’ – which is slang for ‘funny’! The next day, I started a list of all the slang words – or ‘argot’ – I came across, and within a few weeks I had over a hundred. This is just a trivial example of what anyone knows who has lived and spoken French among French people: the words they use are almost never the ones you find in Longmans Audiovisual French! More often than not, they are ‘argotique’ or slang. For example, a house is not a ‘maison’ but a ‘baraque’, and a car is not a ‘voiture’ but a ‘caisse’ or a ‘bagnole’. In addition, there are rules about when you can use slang and when you can’t. I got into real trouble with my girlfriend when I threw a few slang words into my conversation with an old family friend of hers. I was just trying to practise my ‘argot’, but Isabelle told me in no uncertain terms that you NEVER, EVER use slang with someone you address as ‘vous’! Pupils spend a long time being taught vocabulary for a given set of situations and environments – doing the shopping, going to school, going to the cinema etc – but they are rarely given a simple list of the most common words. You can easily find such a list online (http://en.wiktionary.org/wiki/Wiktionary:French_frequency_lists/1-2000), and learning those words strikes me as much more useful than wasting time with ‘le muguet’ (or lily-of-the-valley), which I remember cropping up in my own Longmans text book! This entry was posted in Teaching and tagged argot, French, slang, teaching on December 19, 2009 by Nick Dale.